Content Marketing vs SEO - Where Should You Focus On? In an ideal future world, every time you write an incredible article on an interesting and popular topic, all search engines will recognize it so quickly that, without doing anything else, it’ll rank first whenever a user looks for its topic 🏝. But, unfortunately, reality still differs a bit from our idyllic world… so let’s be more realistic and pragmatic for the time being and let’s talk about Content Marketing vs SEO, shall we? In other words, in any content marketing strategy the two most important tasks are content creation and content distribution. Following Pulizzi’s definition, the content that we are going to create must be relevant and valuable; you have to attract and acquire the attention of the people you want them to become your customers. Since most of us are not great bestseller writers, you should start by analyzing who your target audience (or buyer persona, if you will) is. If you want more information on this subject, check how we discovered our buyer persona. Once you already know which audience you want to attract, then you can think about the interests and concerns these people have. From here, you write about any topic that might help, entertain, or interest your audience. And, of course, it’s better if it has some kind of relationship with your products or the purpose of your web. The more value, interest, quality, and curiosity the content contributes, the more easily you become a referent on the subject matter you are dealing with. And if your content solves the main problems that your potential customers have, be sure they’ll eventually become loyal customers. Community: includes news, events, and interviews with experienced professionals from the WordPress Community. Online Marketing: includes articles to boost your online visibility, web traffic, conversion, and online reputation (tutorials, tips, resources, reviews, and best-practices). Inside Nelio: contains posts in which we discuss our strategy, products and services, achievements, and the challenges we faced in Nelio. WordPress: is a set of tutorials, tips, resources, and reviews that help you, as a new user or expert, to work better with WordPress. The blog clearly covers a lot of different topics, which means we’re not targeting a specific audience. As a result, we might not be following the smartest SEO strategy… but, for the moment, we prefer the freedom of talking about the topics we like, even if that means forgetting a little bit about Google 😇. If content is king, distribution is queen, and not only that, she wears the pants. We talked about the importance of content creation, but how you share that content is equally important—and perhaps a much more complex topic. Nowadays, people only want to receive the information they’ve explicitly asked for or they might be really interested in. That’s why I think SEO and social networks are the best option to introduce yourself to new prospects without invading their privacy or spamming them. Unfortunately, I’m afraid we’re not in the idyllic world I described at the beginning of this post, so you’ll have to work hard if you want your prospects and search engines to know how awesome you are. As you know, optimizing search engine indexing is the process of growing visibility in organic (not-paid) search engine results. If you want to improve the ranking in search engines, you have to make sure that you optimize several components of your website, so they do NOT penalize your site. A few years ago,to be successful with SEO you only had to have a solid and well-structured page structure, with all relevant keywords in their title and content—that practically assured your success in search engines. But since 2012, as soon as Google started to release continuous updates of its search algorithm, optimizing your website for search engines became more difficult. In fact, in the summers of 2013 and 2014 some “SEO chips” were penalized for what Google considered the malpractice of spamdexing. Currently, by following the best SEO practices you can ensure that you keep your traffic. Just take into account the Google’s 200 ranking factors and you’re all set. Wait a moment? Did you say 200? According to Google’s algorithm, the first headline would better fit your topic. Several studies have shown that posts of more than 1,500 words are indexed better in Google. In fact, the top 10 results in searches have an average of 2,000 words. This aspect is crucial if you do not want Google to penalize you. 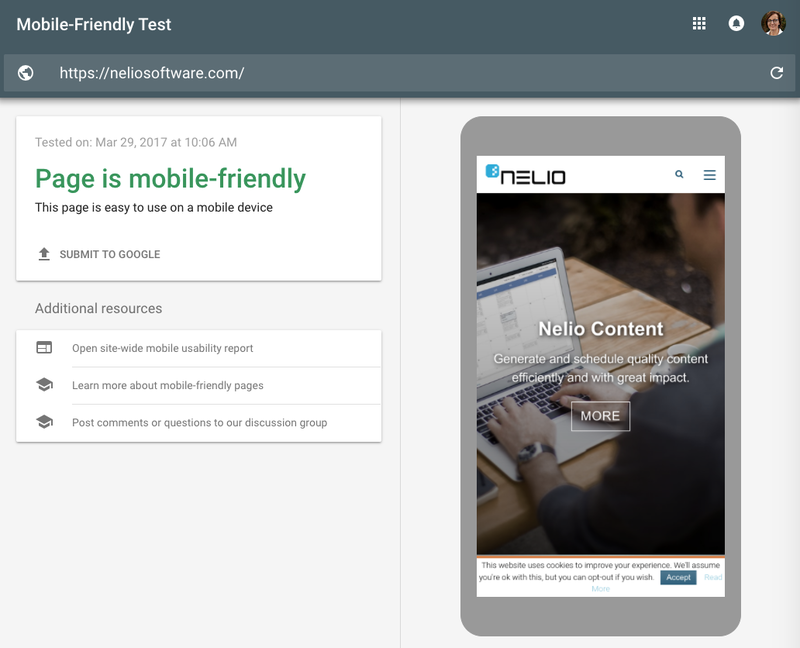 You can easily evaluate and improve your site’s loading speed in any mobile device by using Mobile-Friendly Test tool. Although now you do not have to repeat every 5 phrases the same keywords, Google continues to use keywords to index you. So be sure to include them as often as possible in your titles, first paragraphs, and so on. But, hey! Don’t force it 😉. The quality and quantity of inbound links is by far the most important ranking signal Google uses. This implies that you should create information that people like to link to. According to Brian, a good technique for this is, for example, to create an infograph with a great design (it’d cost about $250) and then look for articles that talk about the subject to contact them and ask them to link you. In general, it is not easy to generate content with so much value that everyone would like to mention or link your site… but it’s worth it! To rank a page, Google also takes into account the authority that has the domain in which it is published. You can check your authority using Open Site Explorer. 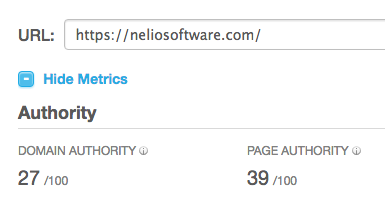 Authority of Nelio’s blog in Open Site Explorer. We already went over about the importance of having many links to your website. But it’s not only about quantity; quality also matters. In this sense, Brian insists that the relevance of the links pointing to your site is even more important than the overall number of links. So make sure that most of your links come from sites that are one the same topic as yours! Regarding mobile devices, Google’s official stance is that they prefer responsive design vs. a separate mobile website. A fast-loading, mobile-friendly responsive design can give higher rankings for people searching on smartphones and tables. When designing your website, never forget to check how it would look on any type of device. Google wants to better rank those sites that have robust and original content. So, delete all those “junk” pages that are not indexed, contain duplicate content, or thin and irrelevant content—they do not help you at all. I’m not going to get everything! I’ve already talked about the importance of content marketing and SEO, but then there is always the permanent dilemma: there are so many things to do… what should I spend my limited time on? Make no mistake about it. The technical SEO is like the foundations of a house: do not skimp costs here. If you are going to create a new web, make sure that a good professional guarantees that you have implemented a sitemap.xml, have optimized your robots.txt file, and that each page title has a minimum of 65 characters and meets the standards. If your web has already some time, redesign it or improve it to make sure Google is not going to penalize you. And use tools like Yoast SEO to ensure that the content you create will be optimized for SEO. Once you have the foundation, do not obsess over SEO or lose the perspective that motivated you to create your blog. Spend as much time as possible to find creative ideas and write high quality content. Remember you write for people, not for robots. For example, when we initially had an exclusive blog for the Nelio A/B Testing site, we were quite concerned about SEO and, therefore, almost all our posts were about CRO. The growth and rank was quite fast. But we wanted to talk about many other issues also related to Nelio, and so we broadened our focus and talked about our concerns, what we like, and what we find interesting. With this change of strategy, we had an important drop in visits during the first month, but after just six months we had already multiplied by 5 the number of visits. Remember: content is king! There are many strategies so that time does not kill you and be more productive. If you expected the third point to spend as much time as you can to promote the content of your website in social networks, you nailed it! After you focused on creating valuable content it’s time to devote some effort to promote it. We have no doubt that using a tool like Nelio Content is one of the best investments you can make. It’s great that you can easily manage your posts and the entire promotion in social networks in a single calendar in WordPress. We no longer care about promoting any post into social networks. Promotion is part of the content generation in a totally natural way. 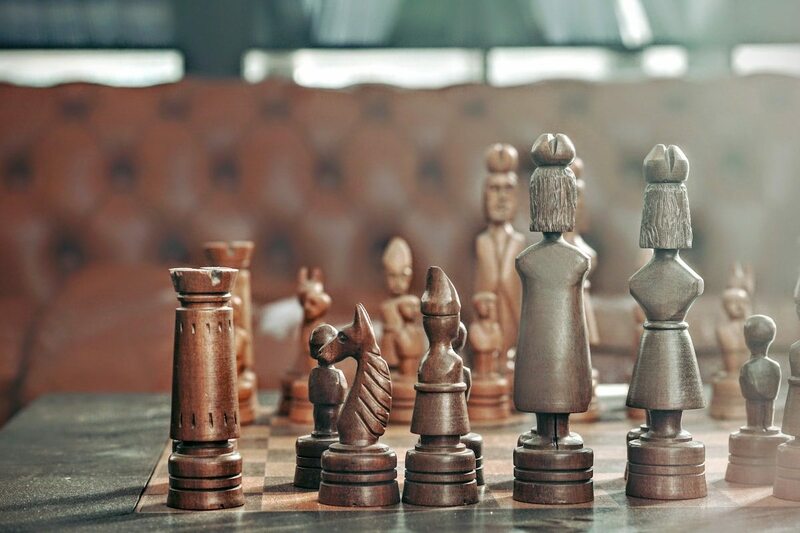 Making an analogy with chess, be in no doubt about this: the content is king ♔♚, the promotion is queen ♕♛, but being SEO-friendly are your towers, bishops, and horses ♜♗♝♘♞. If you’ve ever played chess, you’ll know that, as soon as the king dies, the game ends. Back to our analogy, this means that no quality content will lead to your “death”. But good chess players also acknowledge the value of all the other pieces on the board. If you stay without a queen is almost a suicide, which means you have to spend some time and effort on promoting your content in the appropriate media. I know “time is money” and I’m asking for a lot of work. That’s why I also recommend you to invest some money on good tools that will boost your efficiency at doing all these tasks. Use these tools wisely and dedicate your efforts to make the content of your posts better than your competition! Featured image by Maarten van Den Heuvel. This is a great post about the content-marketing-vs-seo. I must say that in content marketing such a powerful technique to get the quality backlink. Thanks for updating.